Product #45998 | SKU SLR-49UVF | 0.0 (no ratings yet) Thanks for your rating! 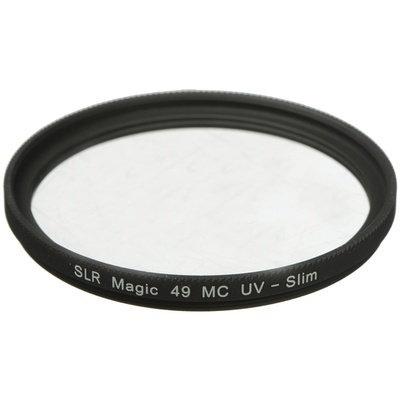 This SLR Magic 49mm MC UV Filter is a multi-coated general use, clear filter that absorbs ultraviolet light and provides protection to your lens's front element. The multi-coating helps to reduce flare, ghosting, and reflections.